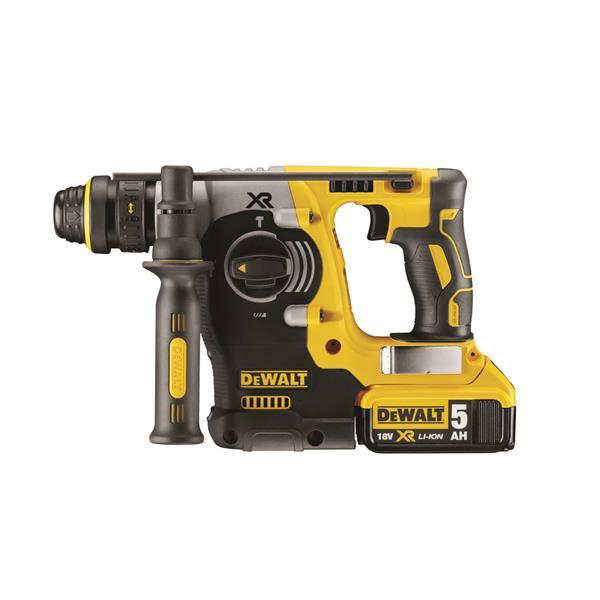 The new DEWALT DCH274P2-GB 18V XR 5AH Brushless SDS Drill has a quick release SDS-Plus toolholder and keyless chuck supplied for easy switching between hammer/rotary hammer and rotary only applications. It has a rotation stop moder for light chiselling in plaster only drilling in wood and metal. It has an electronic clutch for consistently-high torque and improved durabilty. It has the best-in-class vibration at 6.6m/s, minimising user fatique.